Smoke from a Distant Fire" was a catchy mid-'70s tune from the Sanford Townsend Band that, poignantly enough, mentions "paradise" in the first verse. The song rings so true this week, a kind of guilty earworm that's at once uplifting and utterly depressing. From Windsor to West Marin, ash falls from the sky from a fire that's burning more than 150 miles away. And everyone, it seems, is walking around with a case of low-grade smoke sickness: burning eyes, itchy throat, hacking coughs on every street-corner—and local social media outlets are heavy on the news that the Camp fire is triggering lots of folks who went through their own hell last year. What's needed in these trying times is, of course, some high-quality, stress-relieving medicine. 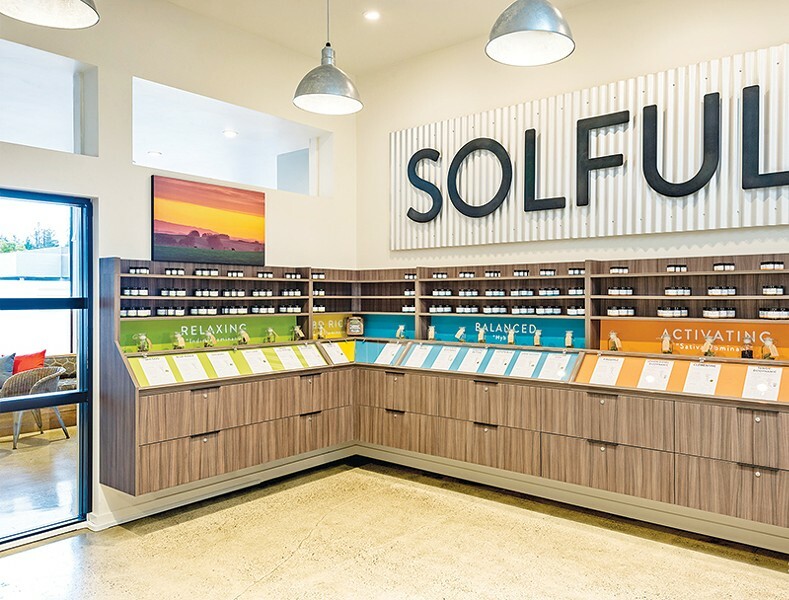 And the Solful Cannabis Dispensary has taken this whole fire-stress business to a new level, offering a range of products for stress relief while also providing consultations for folks in need of some one-on-one TLC to go with the THC (and the CBD). Solful's stress-relieving products fall into four groups. The high-CBD products include tinctures, vapes, capsules and a CBD patch. They're also offering some low-THC-content edibles—chocolate-covered strawberries from Satori; Crisp Mint and Ginger Peach Tabs from Kiva; and Petra Mints from Kiva, too. Solful is also offering products containing lesser-known cannabinoids CBG and Delta-8, both of which have stress-reducing qualities while having zero to mildly psychoactive results. The company Level offers two tablinguals that contain the cannabinoids. Take two tabs, and call Doctor Feelgood in the morning. Lastly, Solful recommends indica dominant flowers and vaporizers as the fourth fire-stress reliever. Indica's a great stress reliever and will also leave its imbiber with a pleasant feeling. Level offers an Indica vape pen called the Float, and Solful also recommends consumers keep an eye peeled for indica strains that have lots of the terpene linalool. That terpene is also found in lavender, a known calmer-downer of man and beast alike. Solful, Southpoint Shopping Center, Sebastopol. 707.596.9040.